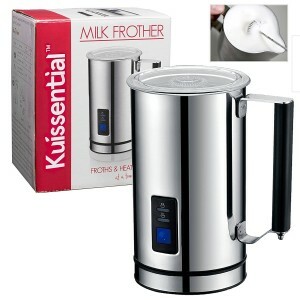 This is one of the best automatic electronic frothers if you have a very tiny kitchen counter space. I say this because it will work perfectly for you given its small dimensions and lightweight. You can also trust it to last very long since it is made of durable stainless steel exterior. Cleaning it is also a very easy affair since it comes with an interior with a nonstick coating. It is also very energy-efficient since it does not take up a lot of electricity at any given time. Even though it comes with maximum fill lines that you can always use to prevent an overfill, these lines and not very visible for the hot froth setting therefore it can easily lead to an overflow if the milk is slightly overheated. You will love it that it does not take up much of your counter space which makes it very convenient for use in a small kitchen. It is made of a stainless steel exterior which is very tough and gives it a high level of durability. You can easily detach its base to pour out its content or just to ensure that you clean it efficiently. It is very easy to clean after use since it is made of a nonstick coating on the interior that will prevent the milk from sticking on the sides. 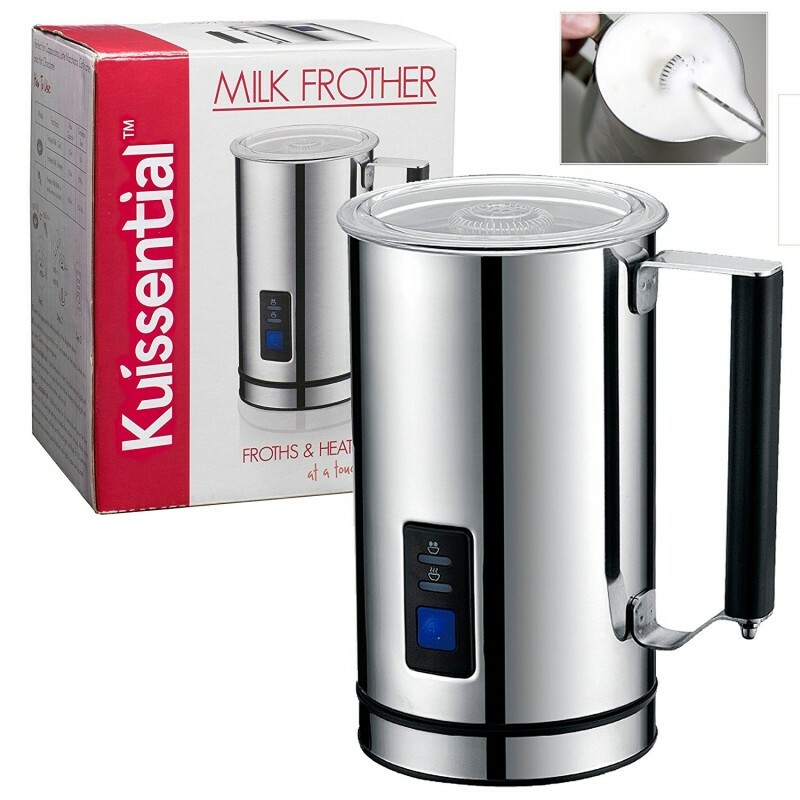 You can use it for frothing or just warming your milk for cappuccinos and lattes. It does not take up much electricity so it’s very energy efficient. Its maximum fill line for hot froth settings is not that visible which can lead to an overfill that brings about overflows.